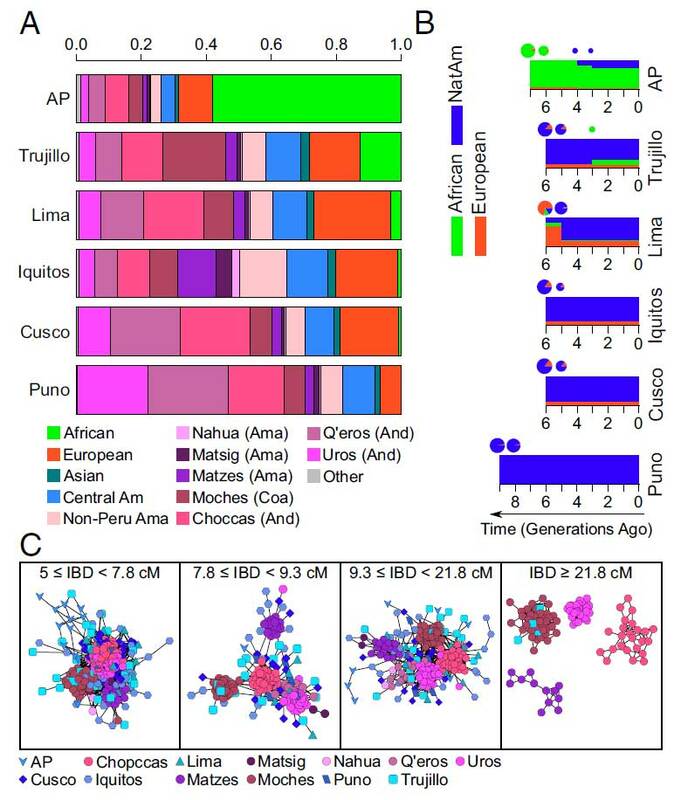 Open access Evolutionary genomic dynamics of Peruvians before, during, and after the Inca Empire by Harris et al., PNAS (2018) 201720798 (published ahead of print). 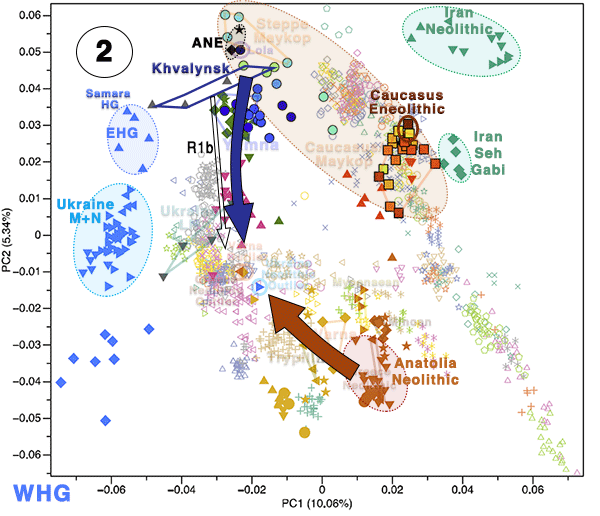 Native Americans from the Amazon, Andes, and coastal geographic regions of South America have a rich cultural heritage but are genetically understudied, therefore leading to gaps in our knowledge of their genomic architecture and demographic history. 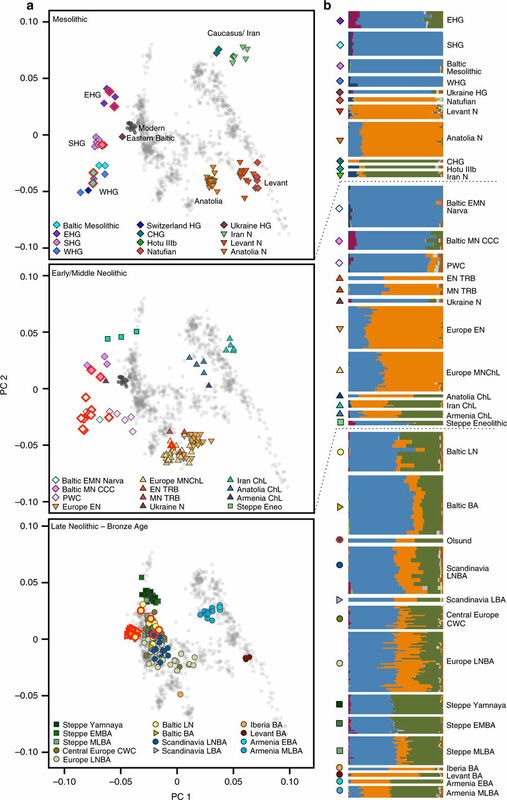 In this study, we sequence 150 genomes to high coverage combined with an additional 130 genotype array samples from Native American and mestizo populations in Peru. The majority of our samples possess greater than 90% Native American ancestry, which makes this the most extensive Native American sequencing project to date. 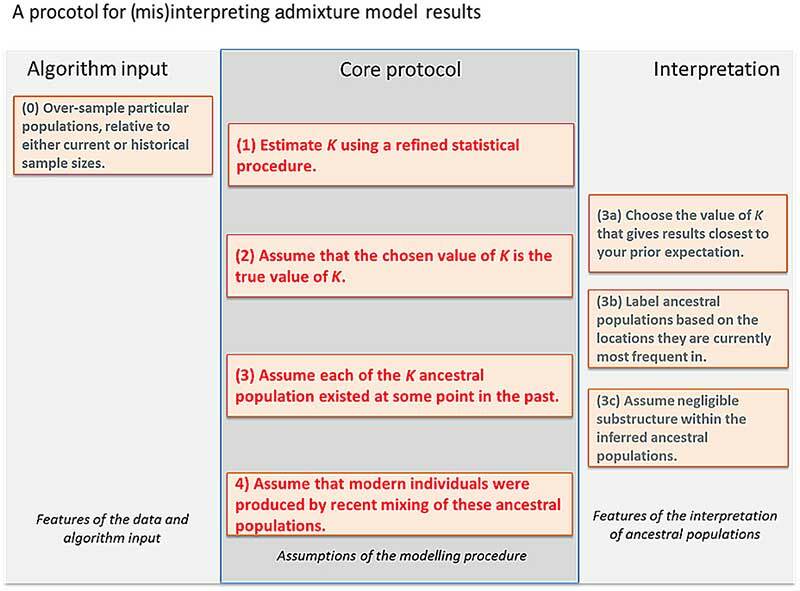 Demographic modeling reveals that the peopling of Peru began ∼12,000 y ago, consistent with the hypothesis of the rapid peopling of the Americas and Peruvian archeological data. 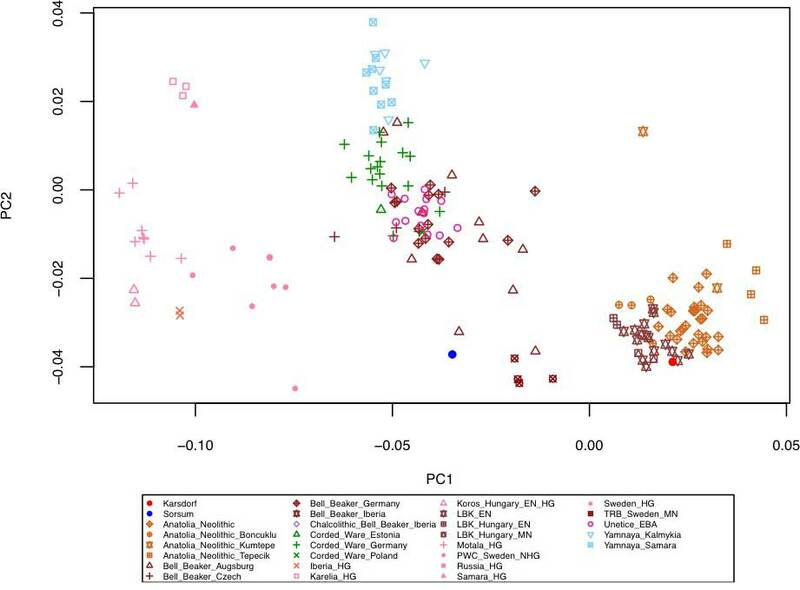 We find that the Native American populations possess distinct ancestral divisions, whereas the mestizo groups were admixtures of multiple Native American communities that occurred before and during the Inca Empire and Spanish rule. In addition, the mestizo communities also show Spanish introgression largely following Peruvian Independence, nearly 300 y after Spain conquered Peru. Further, we estimate migration events between Peruvian populations from all three geographic regions with the majority of between-region migration moving from the high Andes to the low-altitude Amazon and coast. As such, we present a detailed model of the evolutionary dynamics which impacted the genomes of modern-day Peruvians and a Native American ancestry dataset that will serve as a beneficial resource to addressing the underrepresentation of Native American ancestry in sequencing studies. Admixture among Peruvian populations. 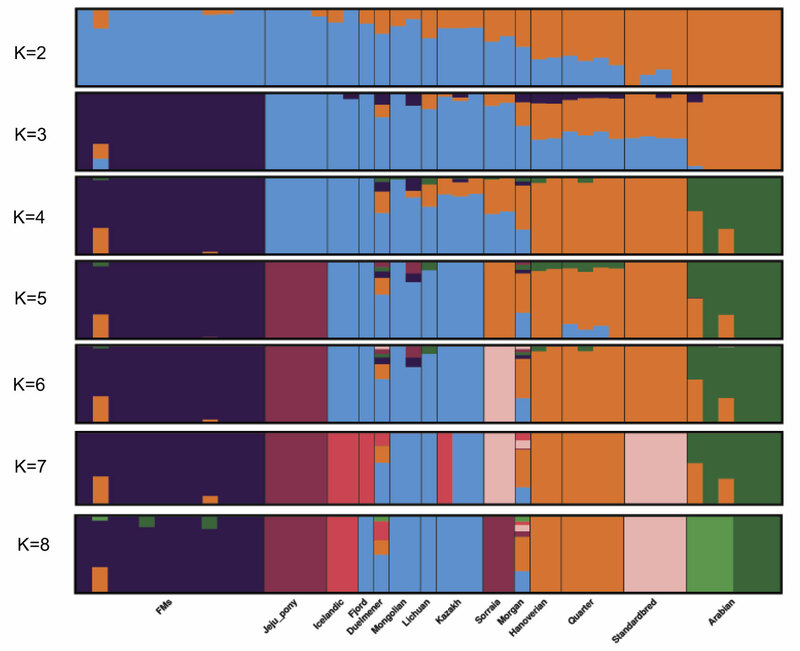 (A) Colors represent contributions from donor populations into the genomes of Peruvian mestizo groups, as estimated by CHROMOPAINTER and GLOBETROTTER. The label within parentheses for each Peruvian Native American source population corresponds to their geographic region where Ama, And, and Coa represent Amazon, Andes, and coast, respectively. 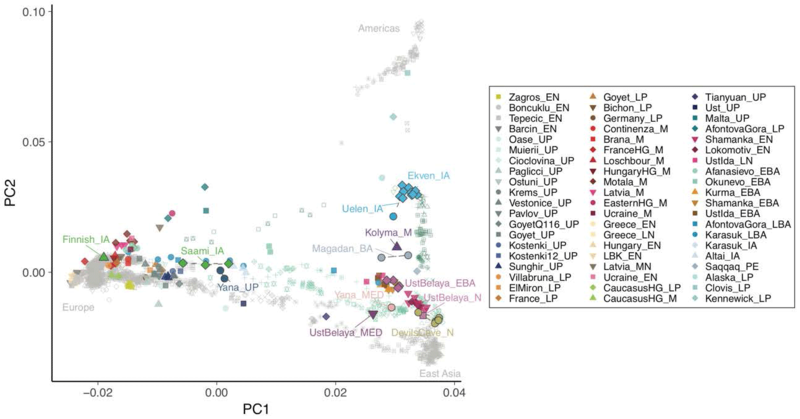 (B) Admixture time and proportion for the best fit three-way ancestry (AP, Trujillo and Lima) and two-way ancestry (Iquitos, Cusco, and Puno) TRACT models [European, African, and Native American (NatAm) ancestries] for six mestizo populations. (C) Network of individuals from Peruvian Native American and mestizo groups according to their shared IBD length. Each node is an individual and the length of an edge equals to (1/total shared IBD). IBD segments with different lengths are summed according to different thresholds representing different times in the past (52), with 7.8 cM, 9.3 cM, and 21.8 cM roughly representing the start of the Inca Empire, the Spanish conquest and occupation, and Peruvian independence. 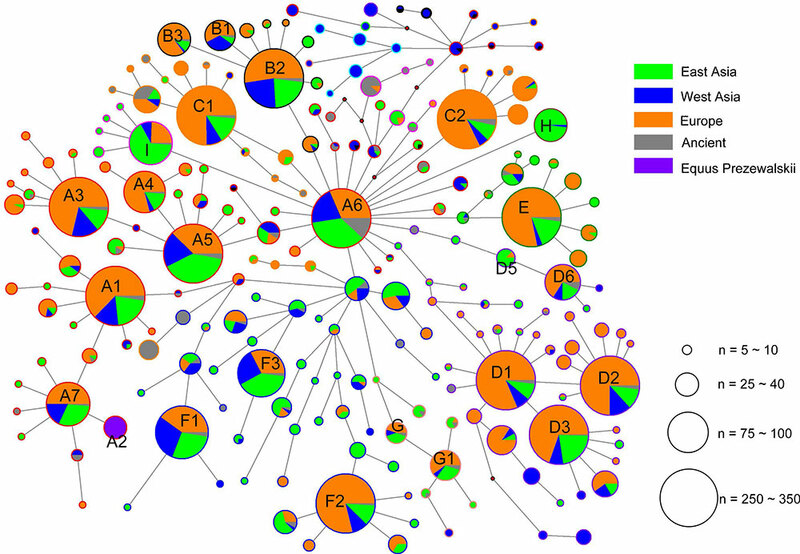 IBD networks are generated by Cytoscape (98) and only the major clusters in the network are shown for different cutoffs of segment length. AP, Central Am, and Matsig are short for Afroperuvians, Central American, and Matsiguenka, respectively. The header of each IBD network specifies the length of IBD segments used in each network. 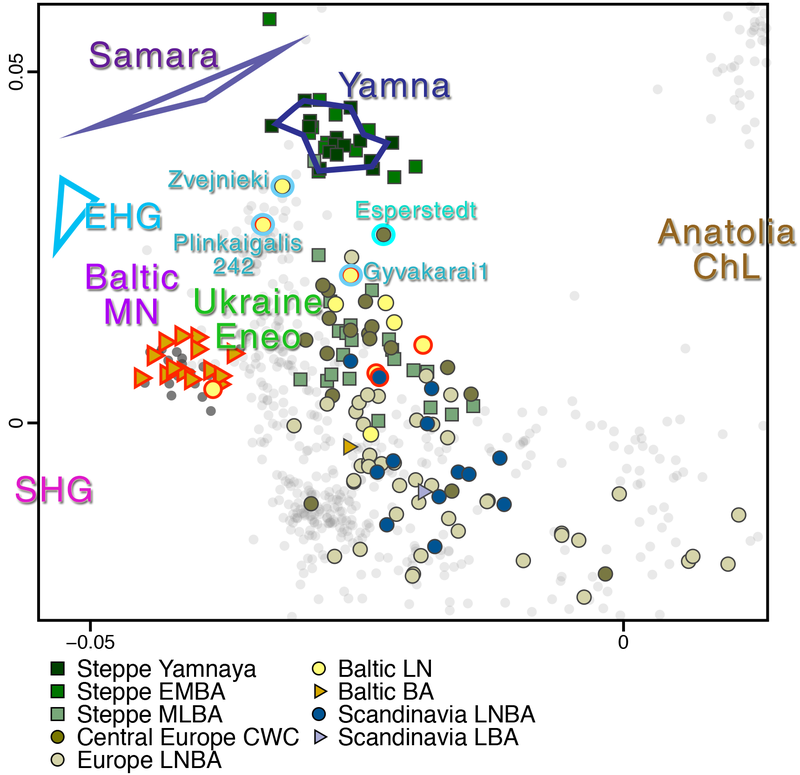 The high frequency of Native American mitochondrial haplotypes suggests that European males were the primary source of European admixture with Native Americans, as previously found (23, 24, 41, 42). The only Peruvian populations that have a proportion of the Central American component are in the Amazon (Fig. 2A). 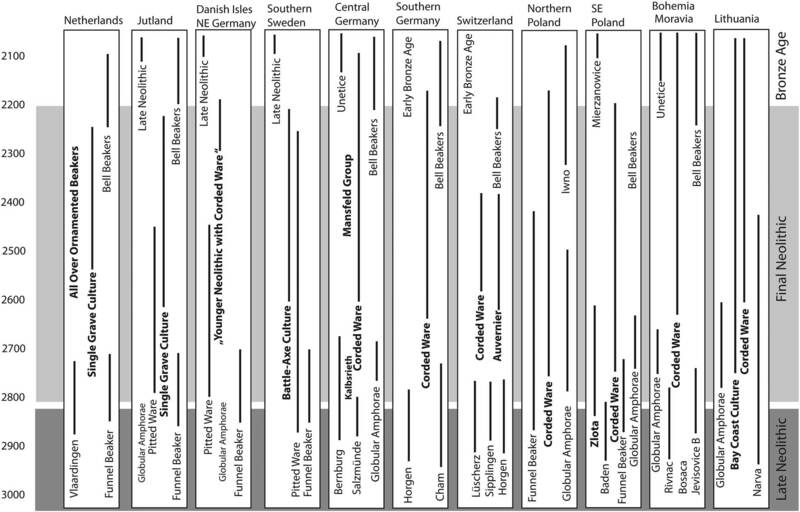 This is supported by Homburger et al. 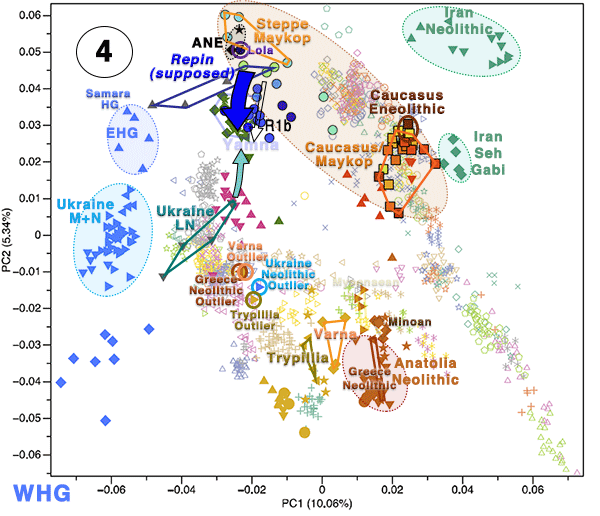 (4), who also found Central American admixture in other Amazonian populations and could represent ancient shared ancestry or a recent migration between Central America and the Amazon. 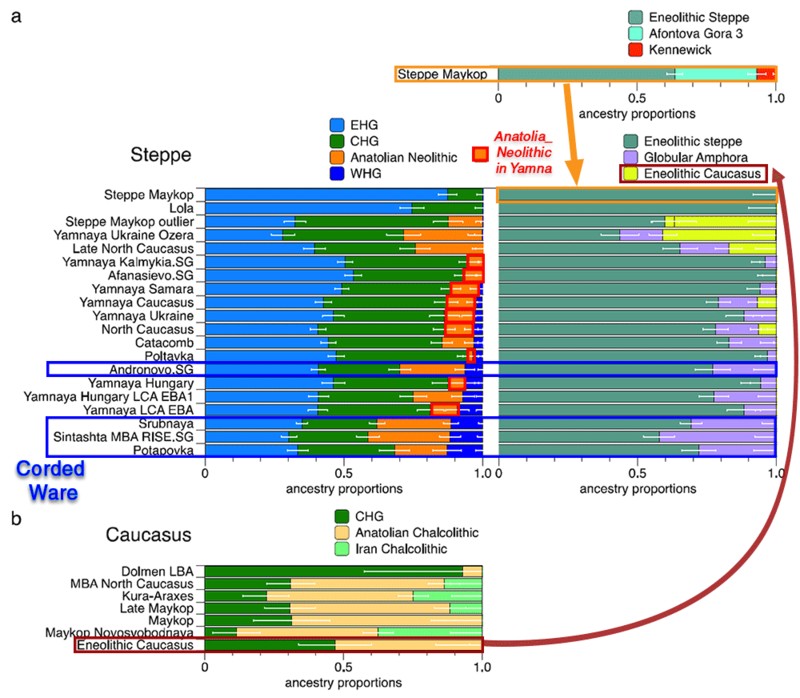 Following the peopling of Peru, we find a complex history of admixture between Native American populations from multiple geographic regions (Figs. 2B and 3 A and C). This likely began before the Inca Empire due to Native American and mestizo groups sharing IBD segments that correspond to the time before the Inca Empire. However, the Inca Empire likely influenced this pattern due to their policy of forced migrations, known as “mitma” (mitmay in Quechua) (28, 31, 37), which moved large numbers of individuals to incorporate them into the Inca Empire. We can clearly see the influence of the Inca through IBD sharing where the center of dominance in Peru is in the Andes during the Inca Empire (Fig. 3C). ASPCA of combined Peruvian Genome Project with the HGDP genotyped on the Human Origins Array. A.) European ancestry. B.) African ancestry. 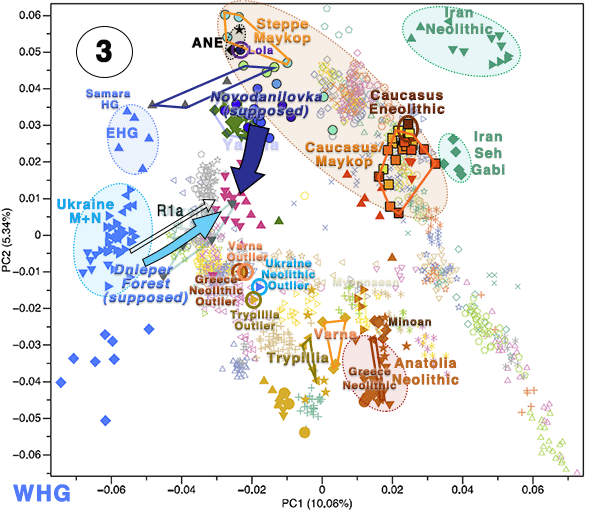 Samples are filtered by their corresponding ancestral proportion: European ≥ 30% (panel A) and African ≥ 10% (panel B). 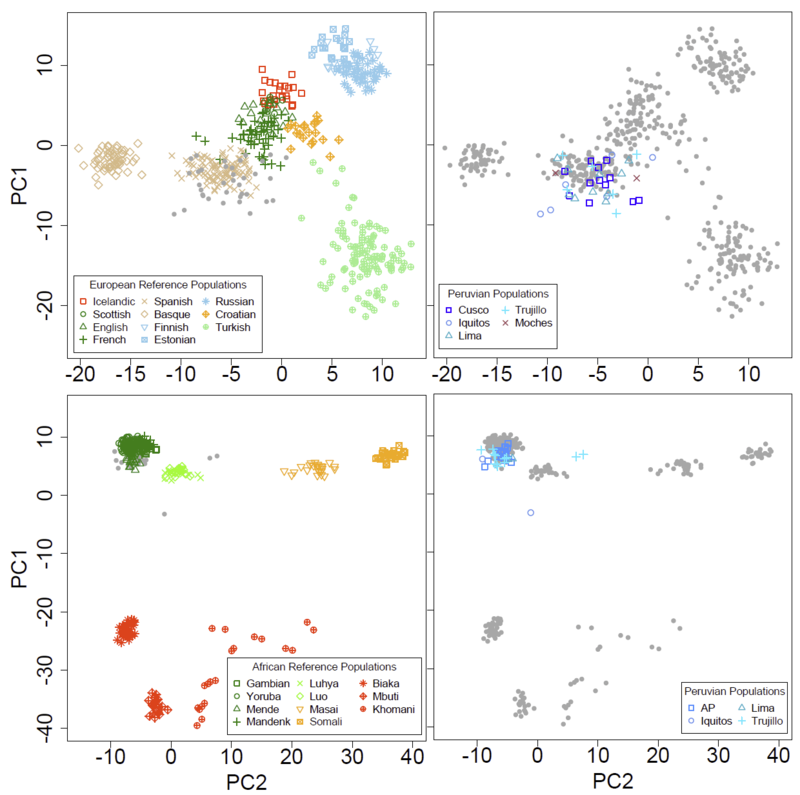 The two plots in each panel are identical except for the color scheme: reference populations are colored on the left and Peruvian populations are colored on the right. 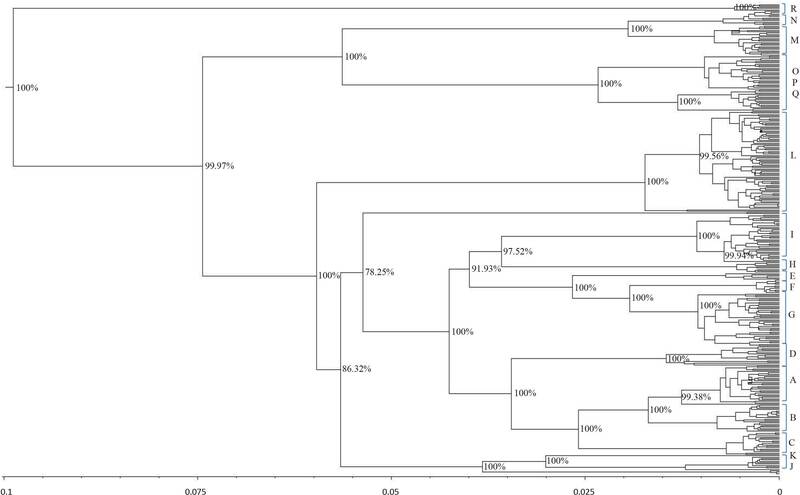 Each point is one haplotype. 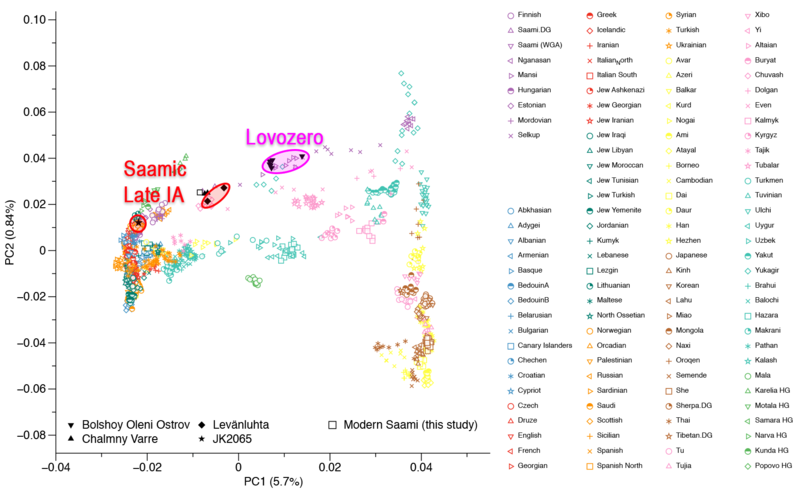 In the African ASPCA we note three outliers among our samples, two from Trujillo and one from Iquitos, that cluster closer to the Luhya and Luo populations, though not directly. 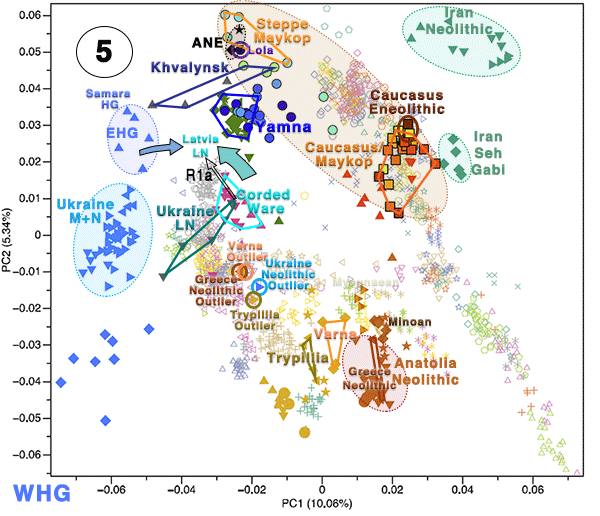 It is likely that these individuals share ancestry with other regions of Africa in addition to western Africa, but we cannot test this hypothesis explicitly as we have too few samples. A similar policy of large-scale consolidation of multiple Native American populations was continued during Spanish rule through their program of reducciones, or reductions (31, 32), which is consistent with the hypothesis that the Inca and Spanish had a profound impact on Peruvian demography (25). 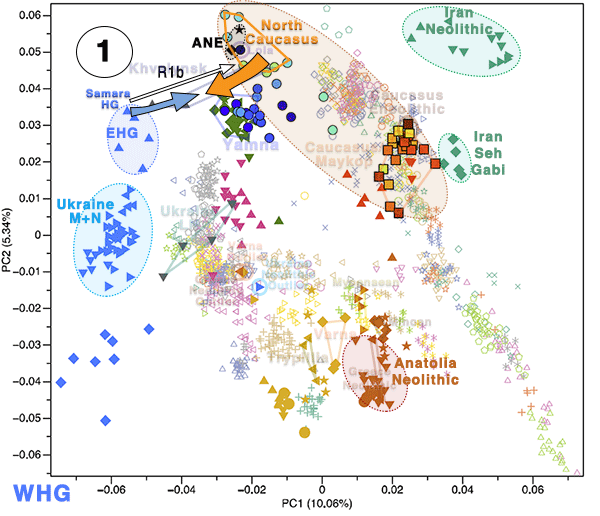 The result of these movements of people created early New World cosmopolitan communities with genetic diversity from the Andes, Amazon, and coast regions as is evidenced by mestizo populations’ ancestry proportions (Fig. 3A). Following Peruvian independence, these cosmopolitan populations were those same ones that predominantly admixed with the Spanish (Fig. 3B). Therefore, this supports our model that the Inca Empire and Spanish colonial rule created these diverse populations as a result of admixture between multiple Native American ancestries, which would then go on to become the modern mestizo populations by admixing with the Spanish after Peruvian independence. Interesting open access paper Exploring patterns enriched in a dataset with contrastive principal component analysis, by Abid, Zhang, Bagaria & Zou, Nature Communications (2018) 9:2134. Visualization and exploration of high-dimensional data is a ubiquitous challenge across disciplines. Widely used techniques such as principal component analysis (PCA) aim to identify dominant trends in one dataset. However, in many settings we have datasets collected under different conditions, e.g., a treatment and a control experiment, and we are interested in visualizing and exploring patterns that are specific to one dataset. 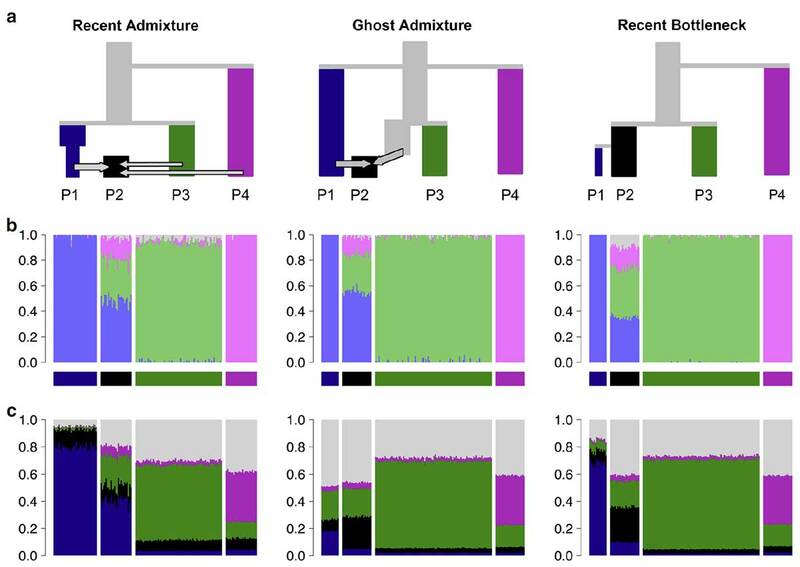 This paper proposes a method, contrastive principal component analysis (cPCA), which identifies low-dimensional structures that are enriched in a dataset relative to comparison data. In a wide variety of experiments, we demonstrate that cPCA with a background dataset enables us to visualize dataset-specific patterns missed by PCA and other standard methods. We further provide a geometric interpretation of cPCA and strong mathematical guarantees. An implementation of cPCA is publicly available, and can be used for exploratory data analysis in many applications where PCA is currently used. In previous examples, we have seen that cPCA allows the user to discover subclasses within a target dataset that are not labeled a priori. However, even when subclasses are known ahead of time, dimensionality reduction can be a useful way to visualize the relationship within groups. 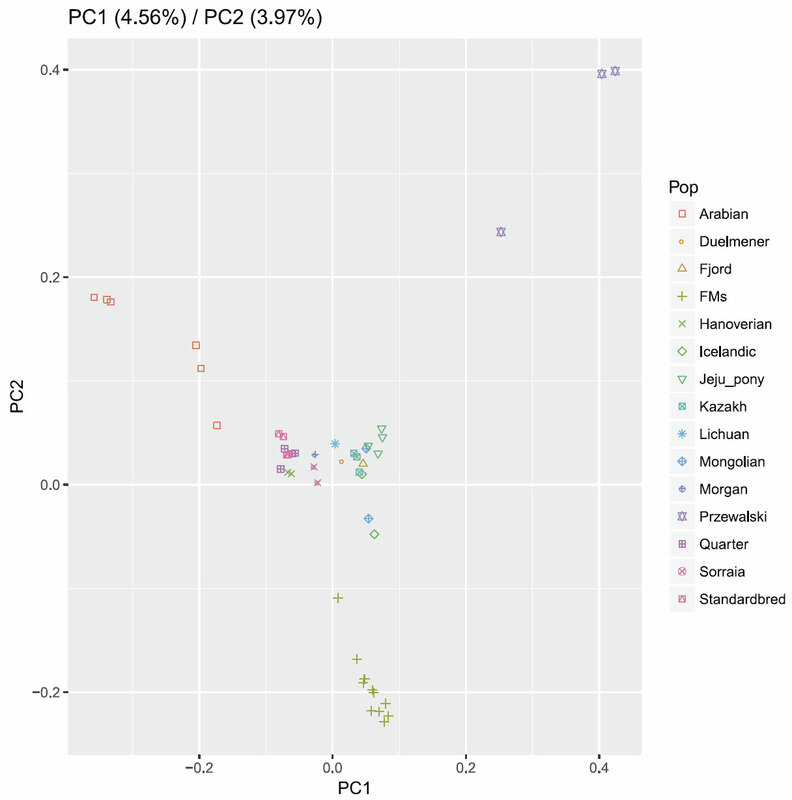 For example, PCA is often used to visualize the relationship between ethnic populations based on genetic variants, because projecting the genetic variants onto two dimensions often produces maps that offer striking visualizations of geographic and historic trends26,27. But again, PCA is limited to identifying the most dominant structure; when this represents universal or uninteresting variation, cPCA can be more effective at visualizing trends. The dataset that we use for this example consists of single nucleotide polymorphisms (SNPs) from the genomes of individuals from five states in Mexico, collected in a previous study28. 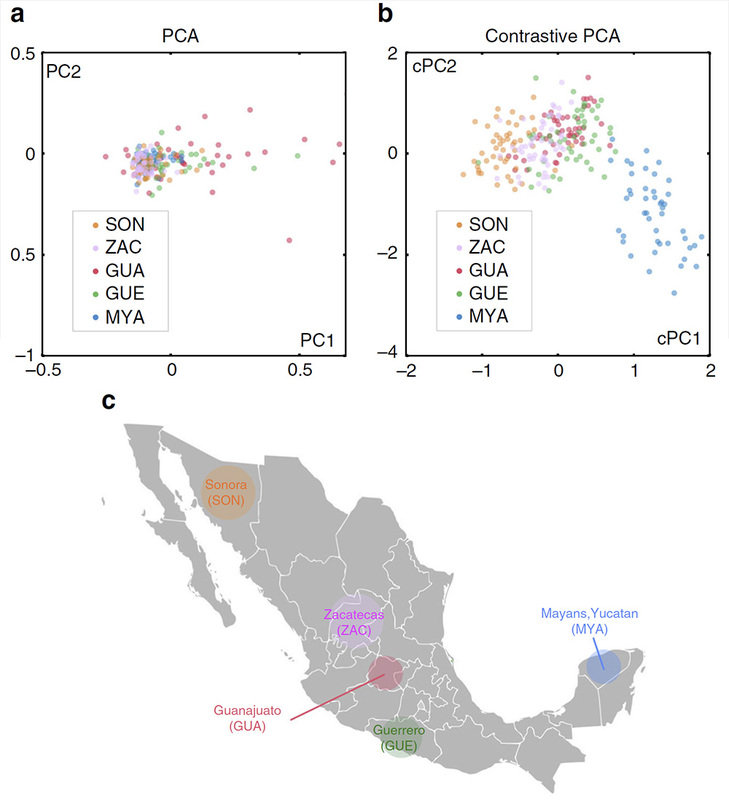 Mexican ancestry is challenging to analyze using PCA since the PCs usually do not reflect geographic origin within Mexico; instead, they reflect the proportion of European/Native American heritage of each Mexican individual, which dominates and obscures differences due to geographic origin within Mexico (see Fig. 4a). 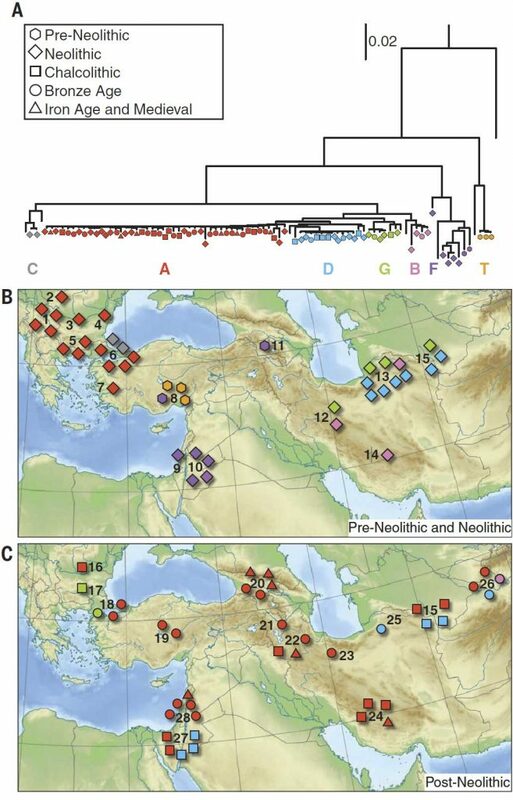 To overcome this problem, population geneticists manually prune SNPs, removing those known to derive from Europeans ancestry, before applying PCA. However, this procedure is of limited applicability since it requires knowing the origin of the SNPs and that the source of background variation to be very different from the variation of interest, which are often not the case. As an alternative, we use cPCA with a background dataset that consists of individuals from Mexico and from Europe. This background is dominated by Native American/European variation, allowing us to isolate the intra-Mexican variation in the target dataset. The results of applying cPCA are shown in Fig. 4b. We find that individuals from the same state in Mexico are embedded closer together. Furthermore, the two groups that are the most divergent are the Sonorans and the Mayans from Yucatan, which are also the most geographically distant within Mexico, while Mexicans from the other three states are close to each other, both geographically as well as in the embedding captured by cPCA (see Fig. 4c). See also Supplementary Fig. 6 for more details. They have released a Python implementation of cPCA on GitHub: https://github.com/abidlabs/contrastive, including Python notebooks and datasets.